“Man… technology is crazy,” he exclaimed, before driving off. Yes, Man in the Pick-up Truck, technology truly is crazy and Apple’s AirPods do look like something out of a science fiction movie, sometimes causing them to warrant the wearer unwanted attention, but more importantly, they actually do work. 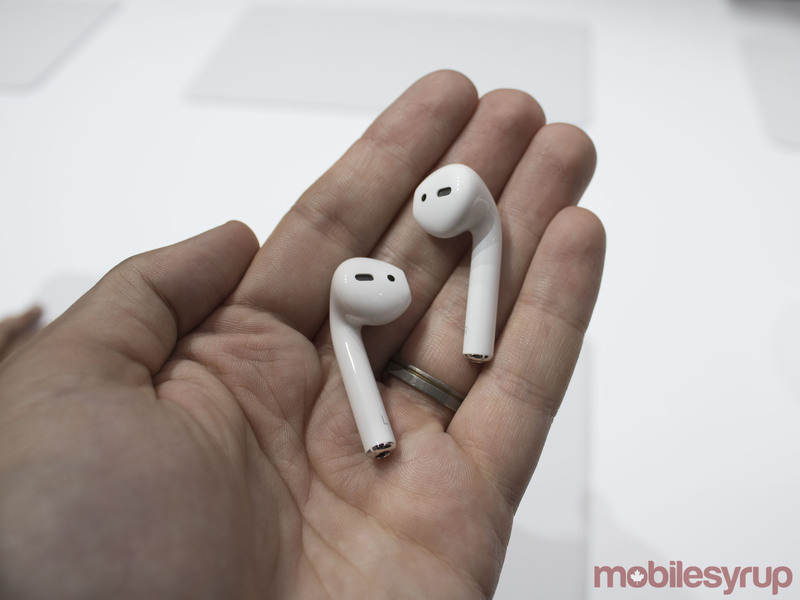 Apple’s wireless headphones are admittedly aesthetically strange, resembling a cross between bright white, awkwardly shaped earrings, and regular Apple earbuds that have had their wires cut off. 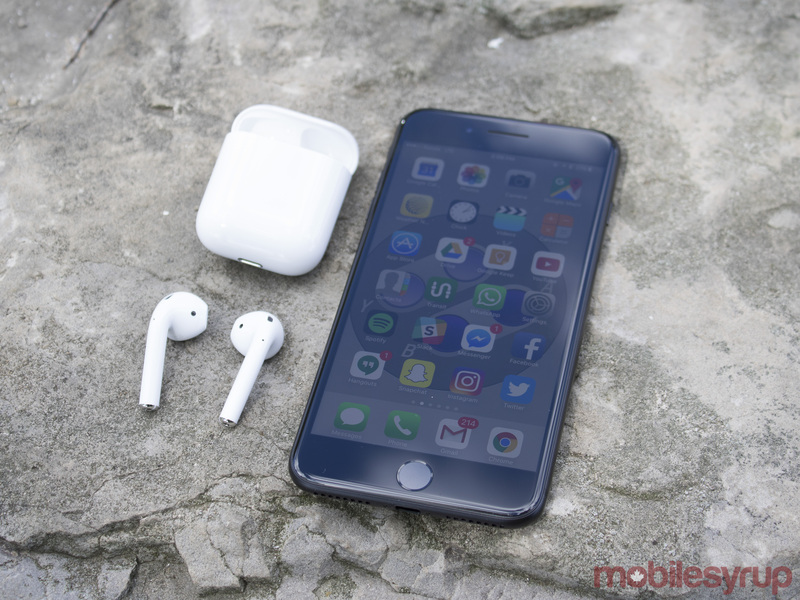 The $230 CAD headphones are designed to complement the new 3.5mm headphone jackless iPhone 7 and 7 Plus, though they’re also compatible with any Apple device running iOS 10. Sure, Apple’s new iPhone includes a lightning-to-3.5mm adapter and lightning headphones in the box, but it’s clear the Cupertino, California-based tech titan believes the future of audio is wireless. When you open the headphones for the first time you’re met with a rounded container that looks very similar to a dental floss container. This is the AirPods charging case and where the tiny headphones should spend most of their time when you aren’t actively using them. It’s a nondescript box with a chrome accented hinge, lightning port on its base for charging, and a small button on the back for pairing. 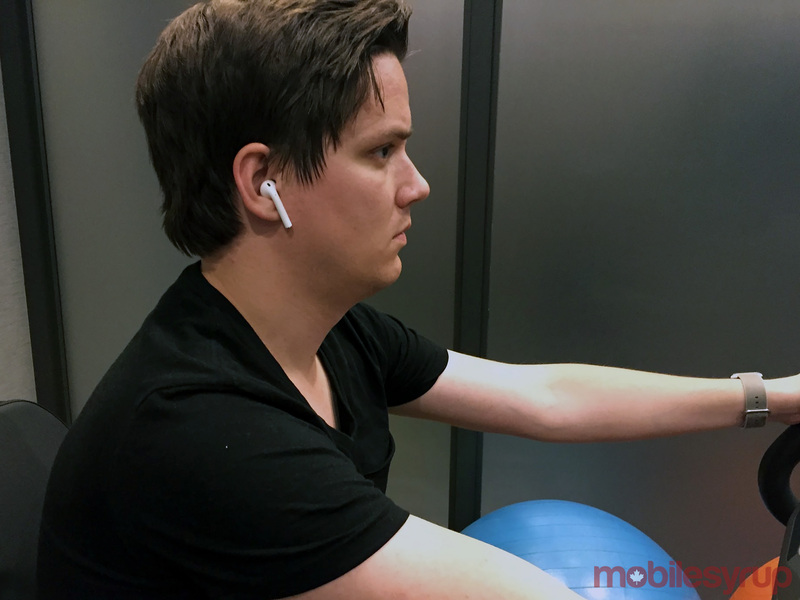 Since I’ve always been a fan of in-ear headphones that don’t burrow into my auditory canals like so many fitness-focused earbuds do these days, I’ve always found Apple’s standard EarPods to be surprisingly comfortable. 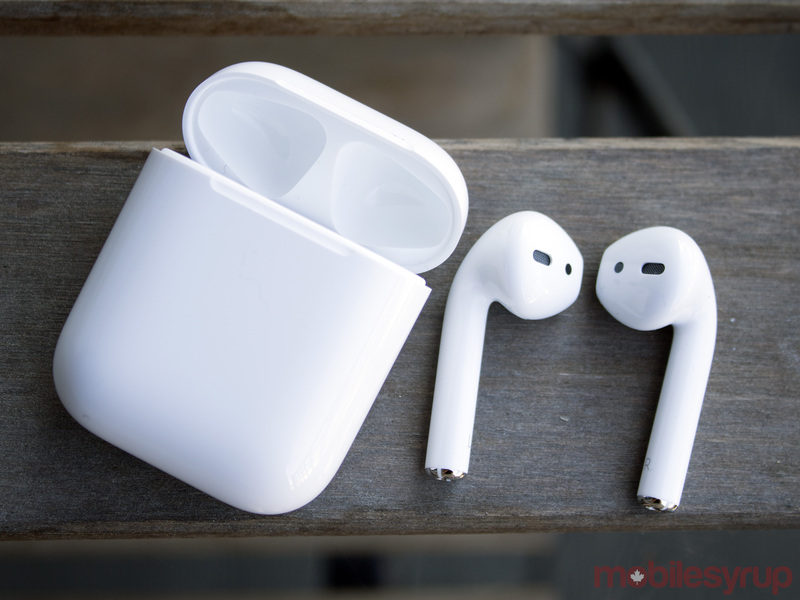 If you aren’t a fan of the company’s EarPods, which feel identical to these new wireless headphones, then the AirPods certainly aren’t going to feel comfortable to you either. I’ve worn the AirPods while walking to work, sitting and standing on the streetcar, and during rare bouts of exercise, where I’m either riding a stationary bike or running on an elliptical. Contrary to what late night comedians and YouTubers might like you to believe, the AirPods remained firmly in my ears during all of these activities. Of course whether or not the case if the same for you will depend on the structure of your ear and how snugly they fit into them. The experience hasn’t been perfect, however. In one instance, actually while snapping images of the iPhone 7 for my review at a nearby beach, I bent over at a strange angle and the left AirPod flew into the water. I quickly scooped the headphone out of the water and all was fine. It may seem like an obvious statement, but it’s important to note that Apple’s AirPods do not fit as snugly in your ears as other wireless earbuds like Samsung’s Gear IconXs. 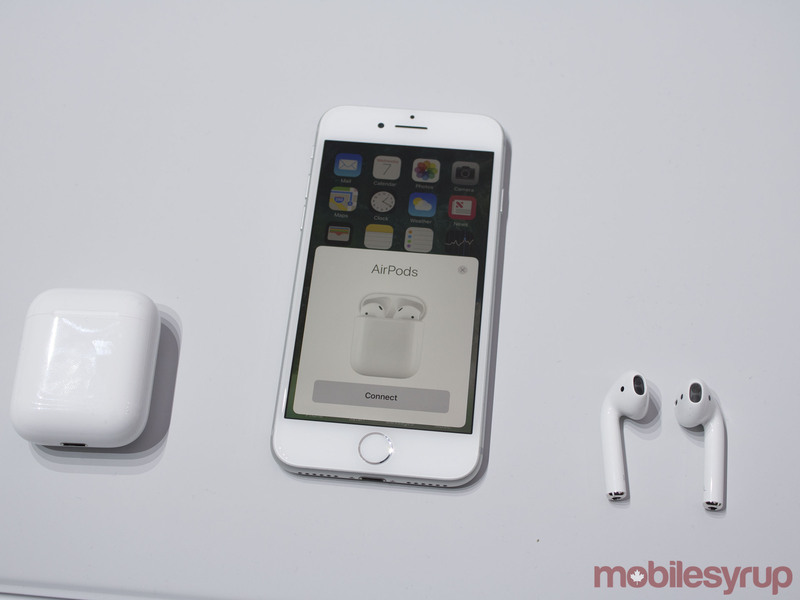 It’s also important to note that because the AirPods are based on Bluetooth 4.0 technology, you don’t need to be an iOS user to take advantage of them, though they are easier to setup with Apple’s latest mobile operating system; this is one of the AirPods’ main draws in the first place. Along with the iPhone 7, I tested the AirPods with the Nexus 6P, the Surface Book, and a variety of other Bluetooth audio-enabled devices, and while not all of the headphone’s coolest features were available, most notably the one tap connection, they still performed quite well. 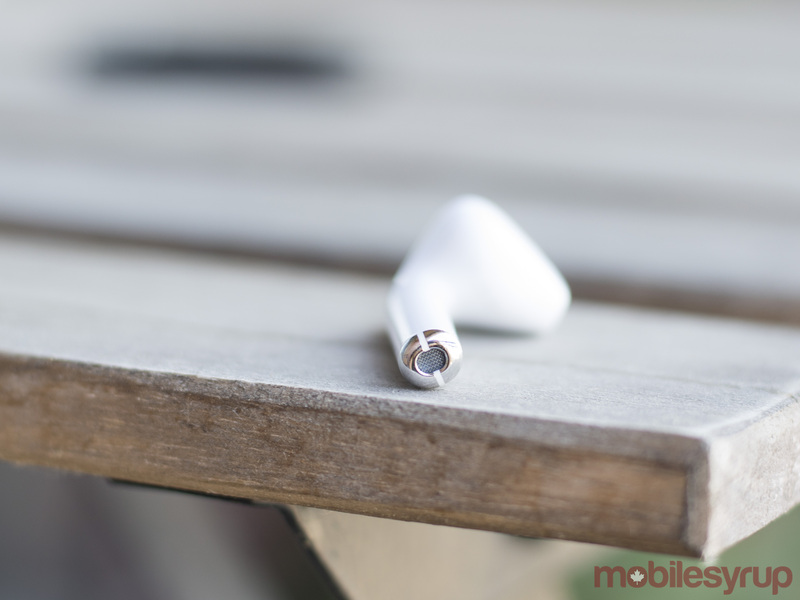 What separates Apple’s AirPods from other Bluetooth headphones I’ve tried, namely Samsung’s IconXs, is their ability to easily pair with any device running iOS 10. Just open the charging case near an iOS 10 device and the connection is instantly completed. A small window pops up on the iPhone displaying battery life of each AirPod as well as the charging base, notifying you that the connection has been made. It’s worth mentioning that it also wasn’t hard to connect the headphones via Bluetooth, but much of the AirPods appeal is that I can take them out of their carrying case and they’re connected to my smartphone immediately, removing the hassle that often comes along with using Bluetooth headphones. Quite simply, the AirPods just work and are surprisingly convenient. Also, despite their somewhat awkward shape, it’s impressive Apple was able to pack this much tech into such a small set of earbuds; there’s a pair of batteries, accelerometers and even an optical sensor that determines whether the AirPods are actually in your ears, arguably the AirPod’s most useful feature. They do not, however, feature a heart-rate sensor like the IconXs. When one AirPod is removed, music is paused. When you put that bud back in, music starts playing again automatically. Removing both AirPods pauses the music and a few seconds later, turns the headphones off completely in order to save battery life. What initially sounds like a subtle change in the way headphones typically operate is truly game changing and surprisingly intuitive, especially for someone like myself who is always on the go. 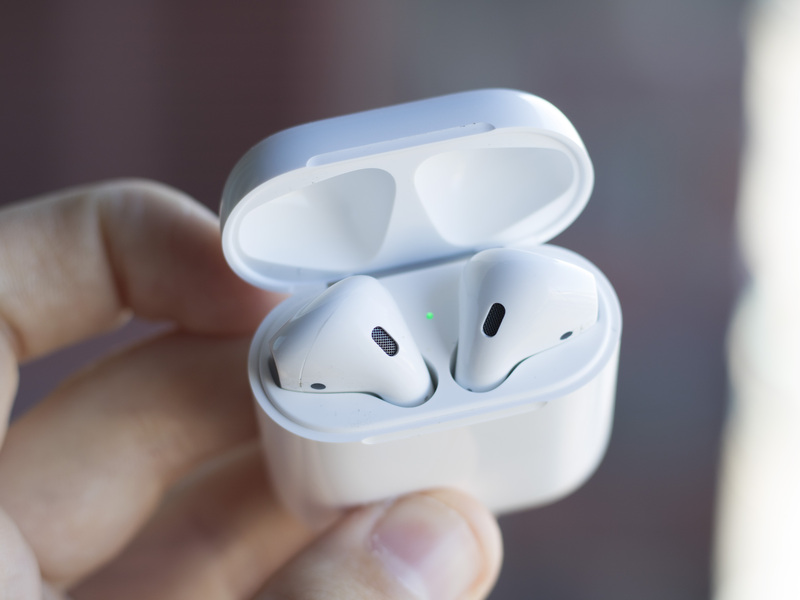 Powering this fancy technology is Apple’s new W1 chip, silicon that manages the link between the AirPods and the device they’re connected to, though the underlying wireless language facilitating everything is still based on Bluetooth 4.0. This tech will eventually make its way to Beats wireless headphones in the future, says Apple, but for now, the W1 is only present in the company’s AirPods. In my experience, I was able to eek out between 3.5 and four hours of battery life on a single charge, which is impressive given the dismal two hours of battery live I experienced with the IconXs. Also, just like Samsung’s wireless earbuds, the dental floss case acts as a charging base with battery life coming in at about 20 hours, allowing users to charge the headphones on the go. In my roughly two weeks using the AirPods I haven’t run out of battery life once and this is something I haven’t been able to say about Bluetooth headphones I’ve used in the past. I’m far from an audiophile, but I found the sound quality of the AirPods to be overall very average. More or less, they basically sound identical to Apple’s EarPods. If you were expecting high-fidelity quality headphones, you’ll be very disappointed in Apple’s latest wireless audio effort. Music has an airy sound to it and bass is nearly non-existent, though at times, sound does seem more crisp and clear than Apple’s standard EarPods. By default, double tapping on one bud wakes up Siri, allowing you to speak to Apple’s voice-activated assistant through one of the headphones in order to change tracks and adjust the volume. Using this feature in public feels strange and I found myself avoiding it almost always. It would have been great if Apple utilized the W1 to create gesture-based track skipping functionality. For example, a quick swipe to the right or left across the AirPod’s body could have resulted in songs moving forward or backwards. Those who are used to using the regular EarPods built-in control mechanism, which is also where the headphone’s mic is located, will find this shift to voice controls awkward and unnecessary. To my surprise, the AirPods actually work really well for voice calls, which seems to be the result of the stem that points out the base of the headphones. This is where the microphone is located, creating a surprisingly accurate cone of reception that covers the wear’s face. During the few voice calls I’ve taken with Apple’s wireless earbuds I didn’t run into any sound issues, even when on a noisy streetcar, with the person on the other end hearing my voice loud and clear. To come back to the outspoken man in the pick-up truck I mentioned earlier in this review, yes, Apple’s first stab at wireless earbuds actually do work. 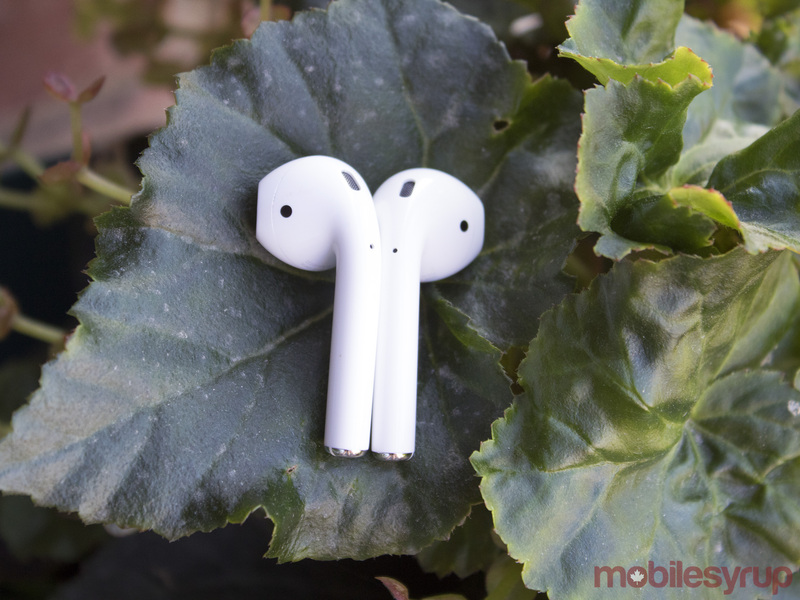 Their integration with iOS 10 is impressive and the company’s latest wireless effort solves many of the issues standard Bluetooth 4.0 headphones often suffer from. They falter, however, in the sound quality category, leaving much to be desired, especially given their $230 price tag. It also would have been great if there was some sort of track skipping gesture controls built into the headphones. Talking into a void of nothingness in public just isn’t a useful control mechanic. Like many first-generation Apple products, however, it’s hard not to admire what Apple has accomplished with the AirPods. The company still has a long way to go, especially looks and performance wise, if it truly wants to help spur wireless headphone adoption, particularity in the earbuds space. 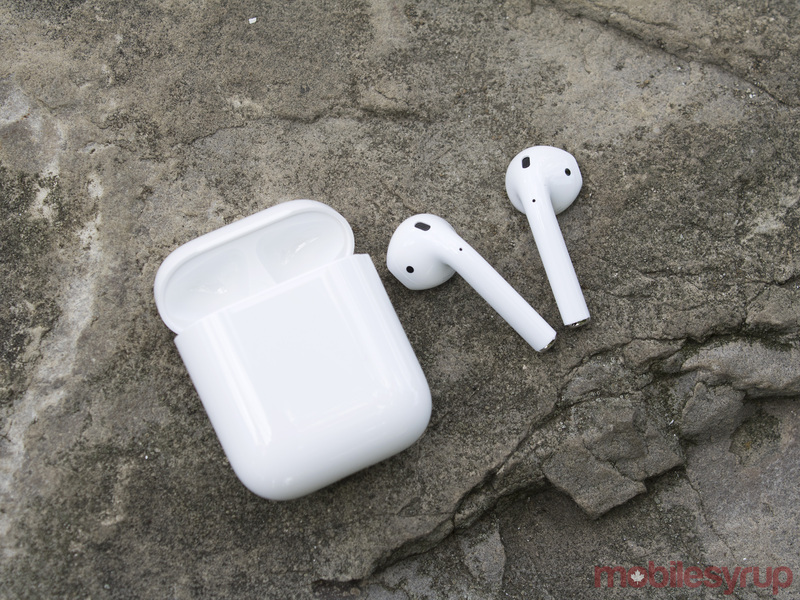 Apple’s AirPods are set to release at some point in October, though a specific release date has not been revealed yet. This review is based on my experience with a pre-production set of AirPods. When we get our hands-on the retail unit we’ll update this review with additional information. 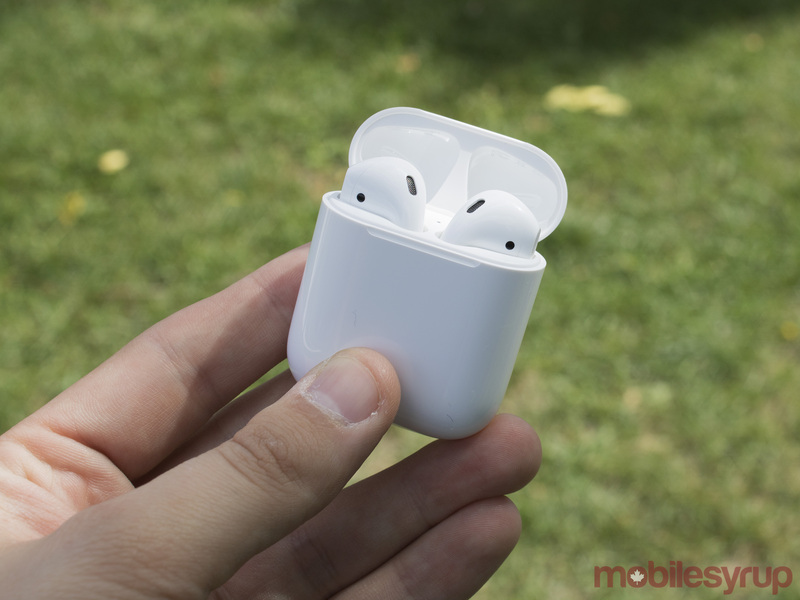 Update 20/12/16: I’ve gotten my hands on the retail version of the AirPods and my experience over the last few days has been very similar to the pre-production unit I originally reviewed. The intermittent connectivity issues I experienced with the pre-production unit, however, seem to be gone. Other aspects of the AirPods, including battery life, sound quality and build, remains identical to my time with the pre-production AirPods.